Emma Thompson continues the adventures of Peter Rabbit in this super new Christmas tale featuring Peter, his comical little cousin Benjamin Bunny, and a certain feathered friend called William. Brilliantly told by Emma Thompson with charming illustrations by Eleanor Taylor, Peter Rabbit is back with an hilarious cast of characters. This time our story is set in Beatrix Potter's beloved Lake District. Now in mini-hardback format just like Beatrix Potter's original Tales. Emma Thompson is an Oscar-winning screenwriter and actress who lives in London and Argyll. 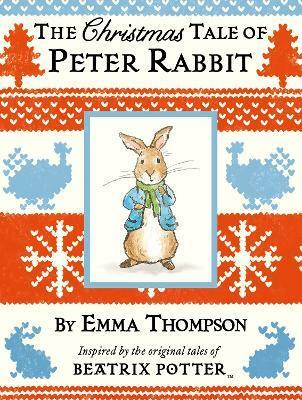 Emma's Further Tale of Peter Rabbit was published in 2012 and was featured in the New York Times Bestseller list - twice! Emma said, "I've always loved Beatrix Potter, as a child and then as a mother and all the years in-between as well. When Mr Rabbit invited me to write a further tale, I was more honoured than I can say. I hope I don't let him or his extraordinary creator down."